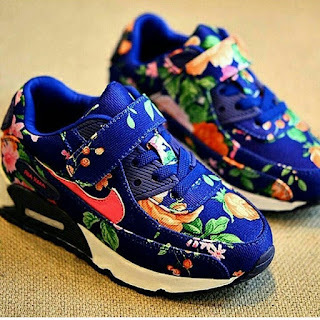 CHECHESMITHNATION : Davido Shows-off This Cute Floral Customized Air Jordan Sneaks He Got For His Daughter! Davido Shows-off This Cute Floral Customized Air Jordan Sneaks He Got For His Daughter! Davido's little "pumpkin" is bursting his brain...so the crooner just got this pair of customized Air Jordan Sneakers for her, just to say that Daddy Loves you baby!